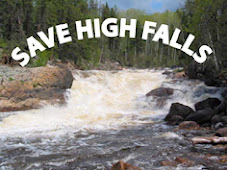 Friends of High Falls - Grassy River Dam Project: "Friends of High Falls want update on plans"
Posted by Markus at 4:39 p.m. Anonymous Feb. 13, 2009, 7:17:00 p.m. I'm glad there is a strong voice such as this one. Keep it public.